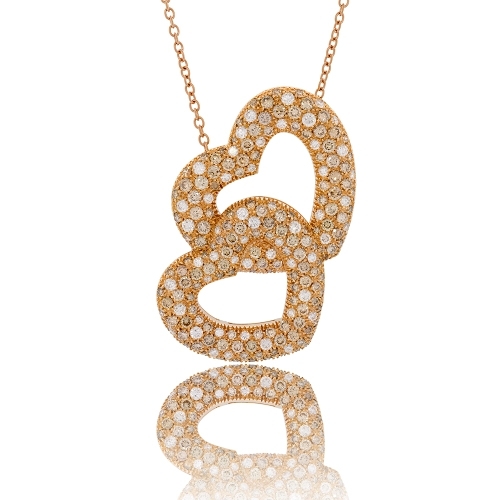 Two interlocking hearts all encrusted with brilliant white & chocolate diamonds mounted in 18k rose gold. Diamonds approx. 5.23ct. Chain 21"